NSF I-CORPS Application is now open! Please join us for an information meeting with John Cabeca, Regional Director of USPTO. Bring your questions about patents and patenting. Join us for the Jacobs School of Engineering's 38th annual Research Expo on April 18 to learn about the exciting engineering and computer science research underway at UC San Diego. • Network with alumni, industry professionals, faculty and students. Sponsored by the Smart Border Coalition, this competition is presented through a partnership of the Rady School of Management and the Jacobs School of Engineering and brings to the spotlight promising solutions and technologies to meet the efficiency and security challenges of the region’s ports of entry. Join us Info Session April 4 and April 10th. Invention Science Fund (ISF), the incubator arm of Intellectual Ventures, and San Diego's Legler Benbough Foundation will contribute $1 million in combined sponsorship funds to the Institute for the Global Entrepreneur (IGE) a the University of California San Diego to help accelerate new startup companies. 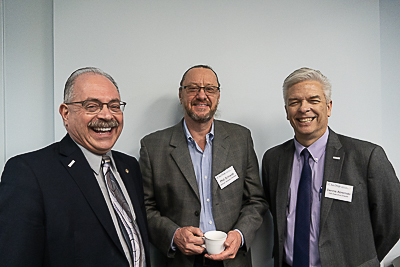 In photo: Dennis Abremski, (Executive Director of IGE), Conrad Burke (VP of New Ventures at ISF) and Albert P. Pisano (dean of the Jacobs School of Engineering. Please join us for an information meeting with John Cabeca, Regional Director of USPTO. 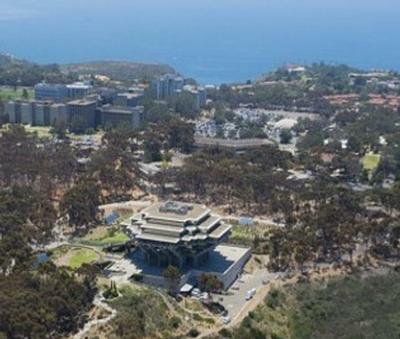 Open to UCSD students, Faculty & Staff and entrepreneurs from Baja California.